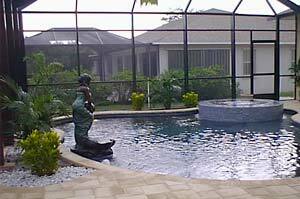 Mac is your full service pool remodeling company. Turn your aged or tired pool and deck into a beautiful backyard oasis. With modern techniques and materials such as VGB (Virginia Graham Baker Act) compliant pumps and main drain covers to retro-coping and thin pavers installed over top of your cracked ugly concrete or river rock deck. We can give new life to your back yard. Call us today!